I don’t have a lot of sales resistance in a bookstore. Well, really, I don’t have any. If I walk in to a place that sells books I’ll probably end up buying at least one and sometimes two or three. Especially if they’re cheap and look like something that might be worth some column space. And people continue to send me review copies of things, as well, even though I always caution them that the review pile is huge and it might be a while before I get to that particular item. There were a couple of those, too. So in an effort to get caught up I’m just going to do a bunch of short reviews of the various things that caught my eye the last few weeks. Most of the readers in my age bracket will recall Scholastic Book Services, a publisher that sold inexpensive paperback reprints of young-adult books. They were rarely in bookstores, but instead used elementary schools as a distribution network. Once every six weeks or so the teacher would distribute mail-order forms that kids would take home to parents and beg for this or that book, and if the begging proved successful, return the filled-out form to the teacher with a check. I rarely was successful — mostly because we didn’t have money, but also because Mom would never agree to subsidize purchasing a book that she had seen me reading already: “It’s at the library, you can read it any time you want.” The concept of building one’s own library was utterly lost on her. Once in a great while, though, she would come through for me; it had to be a book that was new to me, during a time when we had money, and a title she approved of that I myself was also interested in. This confluence of events was about as rare as a Bigfoot sighting, but it did happen. This volume was one of those times. 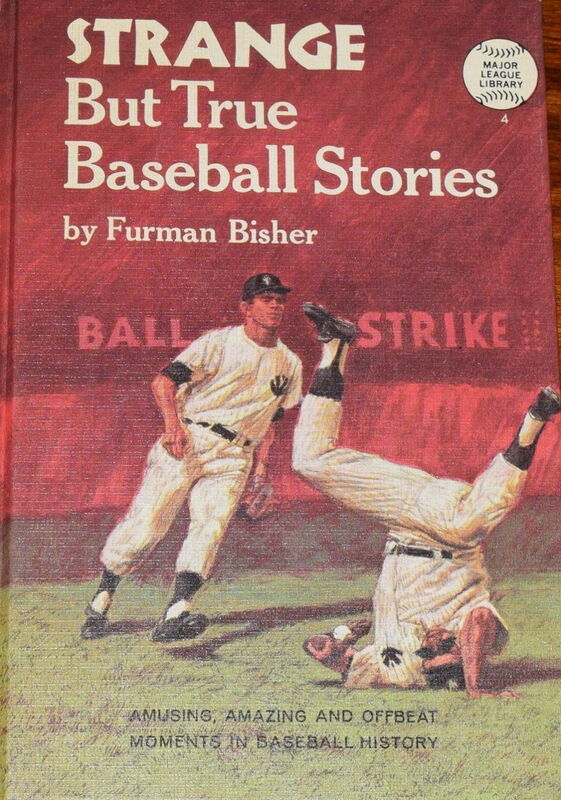 Strange But True Baseball Stories by Furman Bisher was an impulse buy for me when I was eight, probably because I was making one of my periodic efforts to take an interest in sports. In 1969, at least in the Stepfordesque suburb where I grew up, being an avid book reader was a rarity, especially an eight-year-old one like me. Even my parents thought I was some sort of mutant. I didn’t really find more of my people until high school, and even then it was a sort of furtive, underground thing; fandom was a lot of work before the internet, and I never connected with it until I was thirty. My efforts to bridge that social gap never really worked, but the nerdity of baseball history and the statisticians that revere it was something that resonated with me. There were a couple of years there where I collected baseball cards, and though I didn’t really keep up with the hobby, I still have a mild affection for old-time baseball. All this is a long way of explaining that Mr. Bisher’s collection highlighting baseball weirdness throughout its history checked all those boxes for me. That, plus nostalgia, prompted me to pick it up when I ran across the original hardcover edition a few weeks ago for three dollars. In great shape, too, not a battered ex-library copy. And you know, it still holds up. Bisher’s narrative voice is hugely soothing, he’s just Uncle Furman sitting back in his recliner telling a bunch of starry-eyed youngsters tales of old-time baseball. 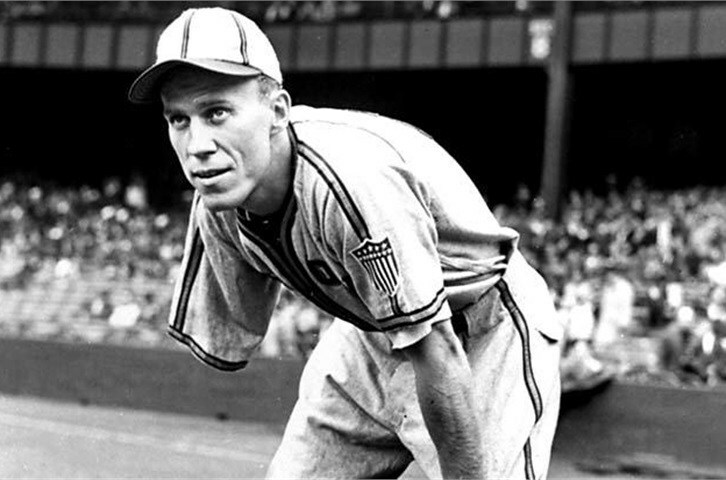 The stories themselves are a mix of famous ones like Lou Gehrig’s “Iron Horse” record of never missing a game, coupled with lesser-known anecdotes like Dizzy Dean coming out of retirement for one night on a dare after his radio commentary pissed off Browns fans. There’s also the story of Chuck Connors’ brief stint with the majors before becoming an actor, the tale of the one-armed big leaguer Pete Gray, and even one about a night a dog made a box score. It’s a hugely entertaining book and I’m glad I found it to be as good as I remembered. There were several follow-up volumes like Strange But True Football Stories, Strange But True Hockey Stories, and of course More Strange But True Baseball Stories. But none of them were written by Furman Bisher (that is SUCH an old-time baseball name!) so I don’t think I’m interested. The truth is, I still don’t much care for sports. Though rereading this book has got me thinking Julie and I should go see a baseball game sometime this summer. Not the Mariners, but something smaller, maybe a scrappy triple-A club that plays outdoors on real grass as God intended. I think Tacoma’s got a team. I’m not much of a joiner, usually, but I do belong to an online community that is devoted to reading and collecting the men’s adventure paperbacks that dominated drugstore spinner racks in the sixties and seventies. It happens that many of us write the stuff as well, and one of our number, Peter Nealen, asked if any of us would be interested in reviewing his latest. Of course I lunged at it, despite the appalling size of my to-read pile. Lex Talionis is the fifth and I gather the final installment in his American Praetorians series… and now I think I’m going to have to go get the first four, because I really enjoyed this. Here’s the blurb: Praetorian Solutions has a rep. Not a particularly pleasant one in some circles, either. Over the last few years, they’ve run roughshod over the plans of terrorists, warlords, pirates, militias, narcos, foreign intelligence services—even some American politicians—and left a considerable trail of dead bodies behind them. But when Jeff Stone and his team were in Mexico, someone who was supposed to be an ally sold them out, leaking information on their identities to the Dark Net. Now the wars are coming home. Before, they fought for hire, offering their services where they thought they could fight for their own sense of justice, putting the hurt on bad people for pay. Now they’re simply going to have to fight to survive. To do that, they’re going to have to embrace the Law of Retaliation. And, quite possibly, earn the title of “Praetorian”…in every sense of the word. Mr. Nealen is a former reconnaissance Marine and a veteran of both Iraq and Afghanistan, and he brings that expertise to his books. More than that, though, he brings the advantage of fannish hindsight. In the same way that Max Collins channeling Spillane can often surpass Spillane, Peter Nealen writing about tough mercenary types like his hero Jeff Stone is surpassing guys that wrote the paperback originals that made many of us fall in love with these hard-edged adventure stories in the first place, because those of us that grew up on the stuff are actively trying not to make the mistakes the original creators did. That’s my theory, anyway. 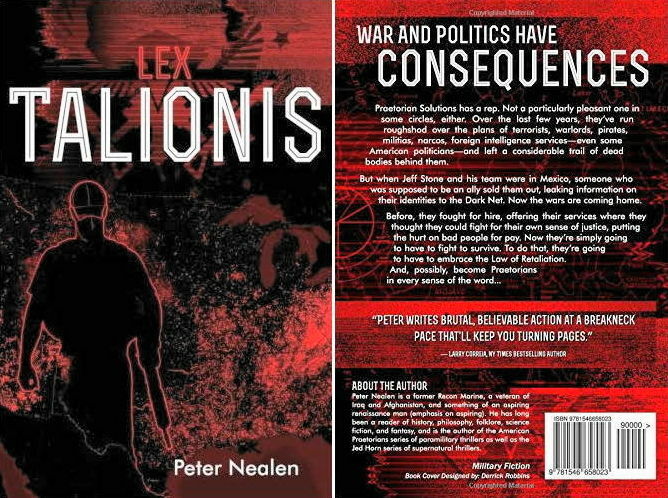 But however it came to pass, Lex Talionis is a richer and more layered book than one expects in this particular genre. Cleverly plotted and almost impossible to put down, the book is basically a riff on the old ‘heroes attacked unexpectedly in their HQ and forced to scatter and regroup’ idea that comics fans will recognize from tales like The Judas Contract or any number of X-Men stories. But with genre, it’s all about the execution, and Nealen does a great job breathing life into a pretty familiar idea. This sort of thing isn’t for everyone– even I have to be in a certain headspace to dive into a Bolan story– but for those of you that are into these books, for example stuff like the Destroyer or Able Team, then I’m betting you’ll like the Praetorians even better. Likewise, the comics folks out there that dig old-school Punisher or Jon Sable Freelance will enjoy the Praetorians as much or more than those. Very much recommended. 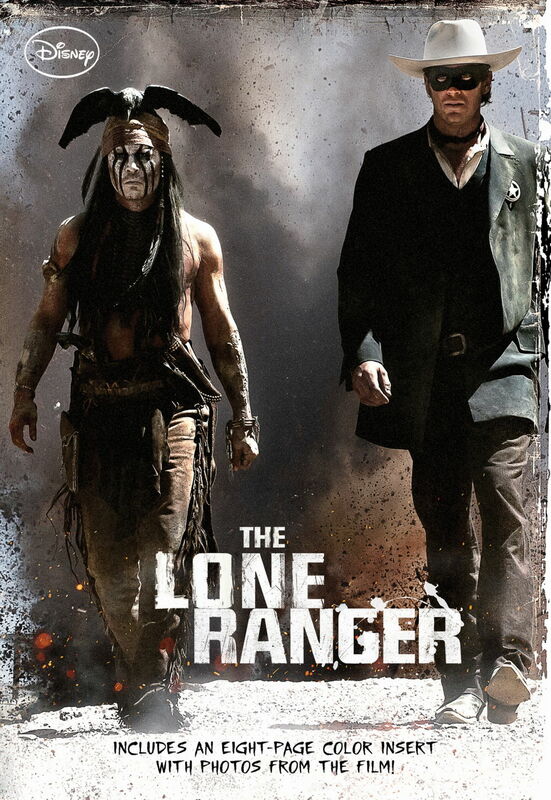 Disney ruined the possibility of a Lone Ranger movie for a generation at least, and yes, I’m still bitter. The last time this happened was in the 1980s with The Legend of the Lone Ranger. (I refuse to acknowledge the dudebro made-for-TV Ranger that aired on the WB. That was some sort of fever dream. Had to be.) The movie that came out in 1981 is pretty awful, but the novelization of Legend was actually quite good. So when I saw this novelization at a yard sale for a quarter, I thought, what the hell, maybe lightning will strike twice. I literally could not get through the Hammer/Depp movie– even watching it on TV for free, I gave up halfway through — but I thought maybe the book would be better. I was wrong. I couldn’t finish the book either, and this is a young-adult novel that’s less than 200 pages. The first seventy sucked so hard that I decided it was masochism to keep going and quit reading. Some turds are beyond polishing, I guess. 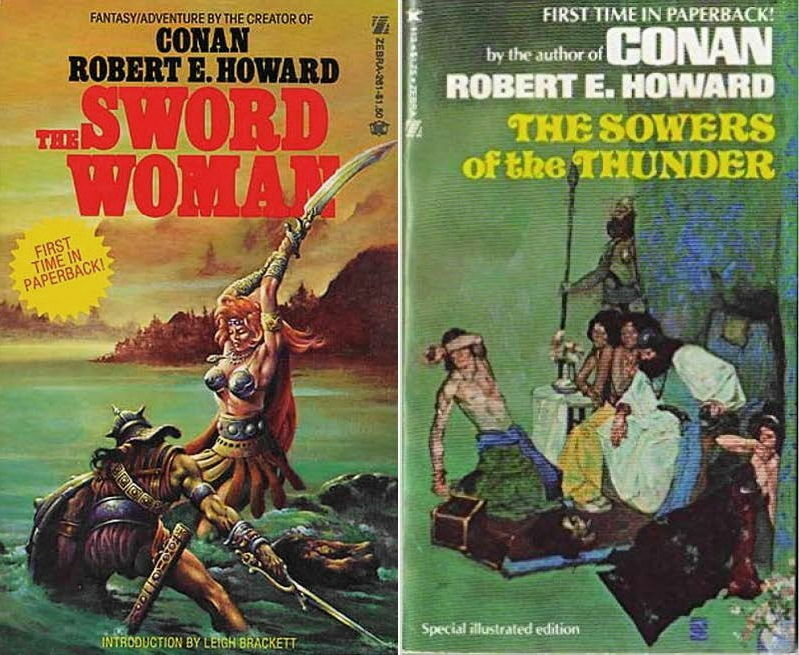 Regular readers will know that I am huge fan of Robert E. Howard’s fiction. Marvel’s Savage Sword was my gateway drug, but it didn’t take long for me to find the paperbacks. Hell, it was impossible NOT to– Zebra Books was slapping a Jeff Jones cover on any old random collection of Howard manuscripts, often including unfinished story fragments, and getting them out on spinner racks as fast as they could. Howard’s estate was loaded with unpublished ‘lost’ manuscripts, and there was quite the cottage industry going there for a while in the mid-1970s. Lost Howard stories were interspersed and updated with continuations and even wholly original stories from other hands. Back then I was a high school kid who couldn’t get enough of the stuff so I didn’t care. (Even today I’m not nearly the Howard purist some people are.) But it does make it hard to sort out the real thing from the pastiche versions. In recent years Del Rey Books has been trying to put together the definitive Howard catalog, illustrated by various comics folks like Gary Gianni or Tim Bradstreet. They’re gorgeous books. 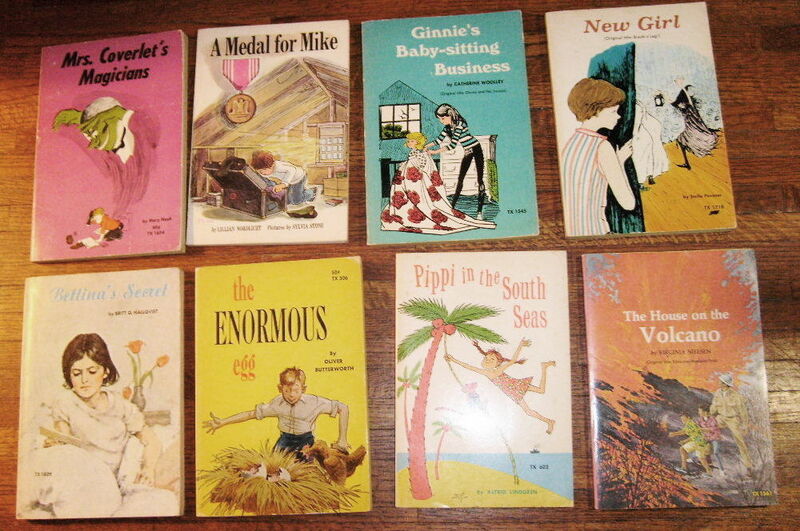 Though I am sentimental about the old Zebra paperbacks, those were not nearly as nice as these new ones. The Del Reys are a bit expensive though– deservedly so, they are very classy trade editions– but as poor as we are, I rarely indulge myself. Once in a while, though, I get lucky. Like I did with Sword Woman. I bought this one because Dark Agnes, the titular Sword Woman herself, is one of my favorite Howard creations. But this also includes a bunch of other Howard favorites of mine, like all of the various stories of the Crusades that originally appeared in pulps like Magic Carpet and Oriental Stories. (The most famous of these is “The Shadow of the Vulture,” the original appearance of Red Sonja, but “Sowers of the Thunder” and “Hawks over Egypt”are terrific too.) So for me this is like a giant omnibus edition of several of my beloved old Zebra collections, and it’s beautifully illustrated throughout by John Watkiss. There are even a couple stories in here that I’d never seen before. Good stuff and worth the price… though I was very pleased at getting my copy for five dollars. And finally, a book that I think I must be the only one to have bought on the strength of the author’s name. 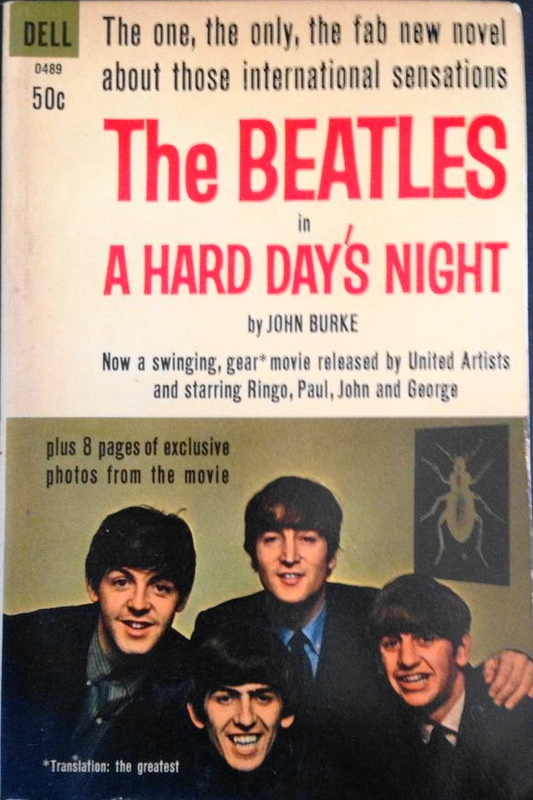 The Beatles in A Hard Day’s Night is the novelization of the 1964 movie, as one would guess. But I didn’t buy it because I’m a huge Beatles fan– though I do like the Beatles — but rather because I really like John Burke’s books, in particular his novels about the occult detective Dr. Caspian. I was overcome with curiosity to see what he’d do with the story since on its face A Hard Day’s Night, the film itself, strikes me as a really heavy lift for an author to try and make a decent book out of. So much of it is dependent on the music and the screen presence of the Beatles themselves. Burke rose to the challenge, though. I’d have to give the novel a solid B-plus, all things considered. (It helped that I haven’t seen the movie in decades, and so most of the jokes landed with me.) But reading it today, with all that we now know was going on behind the scenes, it is a wonderfully odd experience — the book reads almost like an alternate history where the Beatles really were the cheeky, mischievous innocents that the world believed them to be in 1964. At least Burke writes it that way, and he mostly sells it. That’s all I’ve got, this time out. Except to add a housekeeping note: Should you be prompted to click on any of the Amazon links above, and then you buy something there– even if it’s not the thing we linked to— the Junk Shop still gets a referral fee. So please feel free to use our gateway to do your Amazon shopping, because it helps us keep the lights on around here without having to put in a bunch of annoying advertising. Well, I think they’re still in business, but I’m not sure they do business quite the same way. I think it’s book fairs in schools now, or something. It’s Latin. Technically I think it means “the law of retaliation,” or in other words to make the punishment fit the crime. A fancy way of saying “Eye for an eye,” more or less. Oh, of course. When I stopped trying to read it in French, I figured it was just somebody’s name. Which, of course, it still is for all I know. I only read a little of the blurb. “Lex” is “law” in Latin. It’s where we get stuff like “legislature” (because the root is technically “leg-“). Latin is awesome! And now I’m thinking of DS9 episode titles: ‘Inter Arma Enim Silent Leget’. I believe they do both; put on bookfairs and do the mail order thing. We used to periodically get people trying to exchange the bboks at B&N and they are different editions and identified on the cover. Scholastic would publish some in paperback exclusively for the school book program and not for trade bookstores (like Diary of a Wimpy Kid). We’d have to point out the book club copy and tell them that we could not accept them. I can sympathize about rarely being able to buy the books, though my parents were teachers and encouraged my reading. Unfortunately, they were teachers and didn’t make a lot of money, until my mom switched to real estate. Even then, the market fell out in our area and I pretty much learned I had to earn the money for stuff like that. By that point, I was buying cooler books in bookstores. However, we did get a few and I remember getting Freaky Friday that way (the original, not a novelization of the Disney adaptation), LT Robin Crusoe, USN (which was way funnier than the movie) and Alvin the Great. I think that is also where we got a Pipi Longstocking book. My brother had a cool one, Escape from Warsaw, about a trio of children who flee the Nazis, trying to make it to Switzerland. Harrowing stuff; but, really good. Ah, yes: Scholastic Books. That first photo you posted brought back a shot of pleasant reading memories, since I had The Enormous Egg – back when I was a grade schooler, I was a dinosaur kid as well as a comics kid, and was always on the look-out for anything that looked dinosaur related. I was disappointed with that one. I also recall another book I got from Scholastic called The Shy Stegosaurus. Great fun. 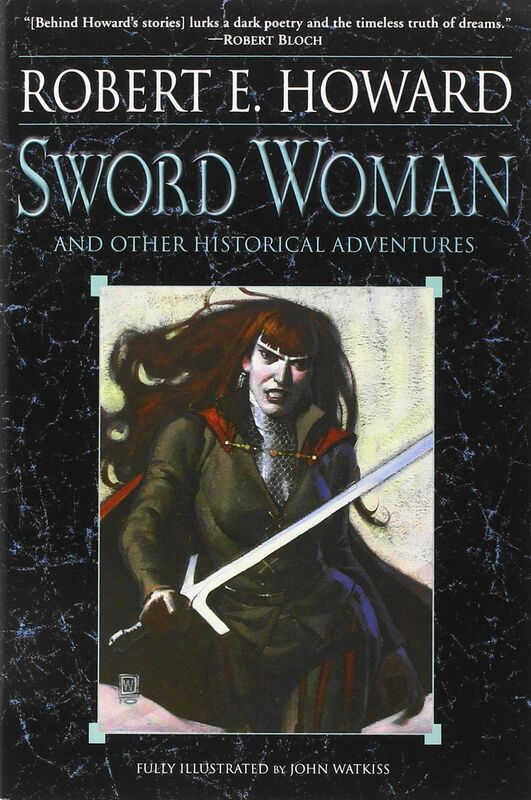 Good catch on that Sword Woman book, by the way. Even so, I’ve always kind of wanted to snag a copy of that one with the Stephen Fabian cover (and inside illustrations apparently), even though there’s not as many stories in it. I remember Scholastic. I think I still have one book somewhere on my shelves. Scholastic is still around. They published Jeff Smith’s BONE, Kazu Kibuishi’s AMULET, and they are the American publisher for a little thing called HARRY POTTER.